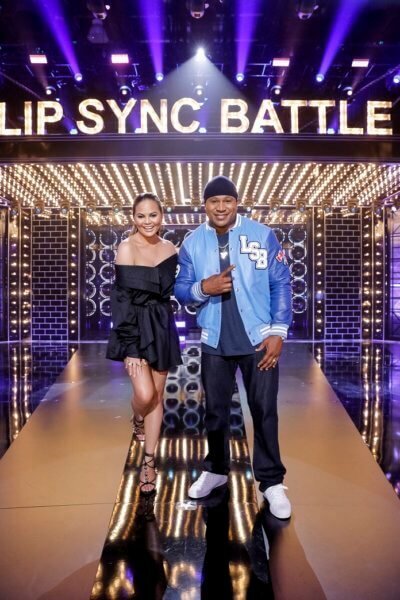 Lip Sync Battle, one of Paramount Network’s most popular shows, has just earned a fifth season renewal order. The network confirmed the celebrity competition series will return in 2019 with 12 new half-hour episodes. Grammy Award winner LL Cool J and model/bestselling author Chrissy Teigen will return to host season five. The series recently picked up its third Emmy nomination in the Outstanding Structured Reality Program category. It’ll be competing against Antiques Roadshow, Fixer Upper, Queer Eye, Who Do You Think You Are?, and Shark Tank when the Emmys air on September 17, 2018. Lip Sync Battle was also nominated in that same category in 2016 and 2017. Season four’s celebrity battles have included Johnny Weir vs. Tara Lipinski, Michael Bolton vs. Pete Davidson, Rita Ora vs. Charli XCX, Derek Hough vs. Nicole Scherzinger, Lil Rel Howery vs. Naya Rivera, Kathy Bates vs. Tone Bell, and the network’s American Woman stars Alicia Silverstone vs. Mena Suvari. Lip Sync Battle is executive produced by LL Cool J, Casey Patterson, Jay Peterson, John Krasinski, and Stephen Merchant. It’s currently available in 120 countries and has spawned Lip Sync Battle Shorties, a spinoff targeting the younger audience airing on Nickelodeon. More than one million people subscribe to the show’s YouTube Channel and over two million people follow the series on Facebook.